This is the most awaited and interesting part. After all, this is what we wanted to reach for all this time. Although in my previous posts, I have just outlined each aspect of the premix, and music balance, all of that is the groundwork for what happens in the final mix. This is where the real play of everything happens. I like to call it a play. It is more fun and interesting that way. And there always is a clild-like curiosity that is needed to accompany such a task, so that you are open minded and fearless to do changes. 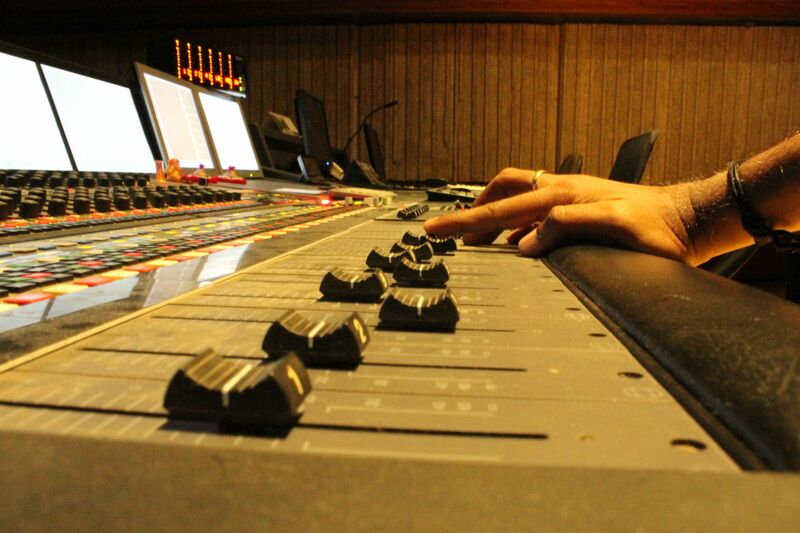 A Film Mix for any engineer is a very daunting task. The reason I would say is that the engineer has to convince himself or herself of the emotion on screen and could very well end up carrying that over with him / her over the course of a few days / weeks. I know. I have been through this. It is a very difficult thing to do and to have. First off, it can be embarrassing to some. I can move to tears on a movie that I am mixing. And because of this I know that if I am not moved or I don’t feel the revolt or pain of the character, then the audience definitely wont. Thats why this final part is the most straining and at the same time the most exciting part of the mix. How would the mix be approached? This is a very difficult question. Its like asking which part of the cake should be cut first. My way of doing things is what I would like to describe. Since I already have a whole listen to the Dialogue, Music and Effects, and I would also have had a discussion with the Sound Designer and Director of the movie, I would have an idea of what to attain. The whole exercise of a mix is to know when you’ve attained that. The path will have to be modified, changed and sometimes followed to reach that finality. I start off by having my dialogue fader at 0dB, the music at around -4 or below, the ambience, at -3, effects at -3, the Foley at 0. Now, these are just numbers, not rules. These are just my starting points. Many times, I have heard the question about what difference does 1dB make on fader levels. Maybe nothing. But when playing out subtle parts, this is all the difference needed. Once I keep this, I have a listen to the reel. I get a feel of the dialogue level, the Music rides needed, effects against the mix, the ambience levels. etc. Along with this, I also want to experience how much should I be surrounded. This determines the changes I would need to make in the positioning of ambience and music. 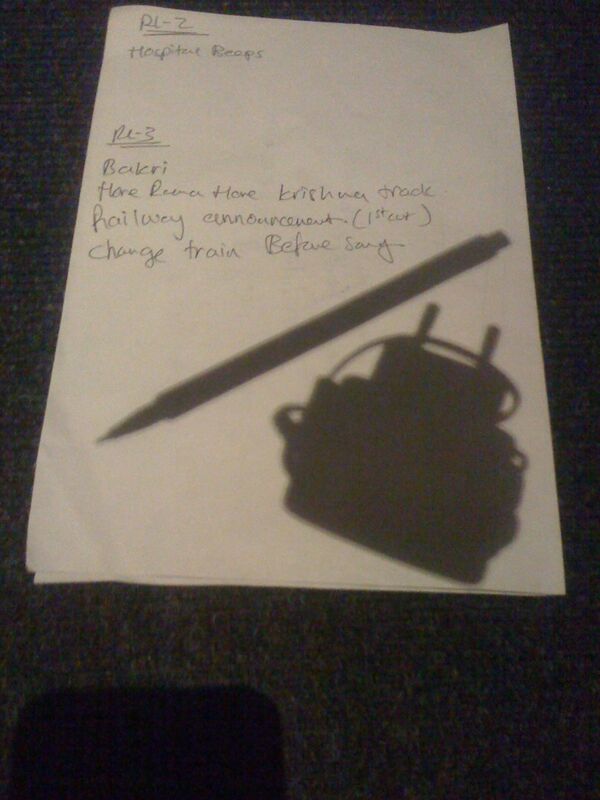 My regular changes would happen with Pads and Strings in Music. I use Spanner a lot in the ambience section. It gives me the flexibility to give the PoV of the person or create subtle movements in a static situation. I don’t usually leave anything static. I induce a bit of movement in any one of the element, music, dialogue or effects, either by the fader, or by the pan changes. This doesn’t have to be noticeable, just subtle is fine. The reason I do this, and I learnt this from doing sound editing, is that static sounds are not really interesting. There has to be some movements or our ears will get used to having the sound playback. Its like if I play you a tone, you will immediately hear it but after sometime, it becomes like the blind spot. This is all going to be based on relative loudness. So, how loud is loud? When I go through the first run, I dont always start automation. This decision is done based on if I know the reel from before hand and it happens to be intense, then I start a write automation. I also start the write automation if I have EQs and compressions set up on the console from an earlier reel. That being said, it is important to understand how loud one can go. Loudness has always been a very questionable thing and highly debated aspect in our industry. This is what pushes mixes to be played at 5.5 or 5 or in some cases at 4 on the CP 650 / 750 / 850 in the theaters. (The standard level is 7, at which the audio will be played at the level it was mixed at.) This is like a chicken and egg situation. The louder your mix, the lower it will turn down. This means that if the trailer or advertisement is too loud before the beginning of a film then the levels may be turned down for that and left so for the film too. But my point of focus is not the advertisements. Its the film. Before I go on to addressing this on how I view this in my mix, I want to make something about loudness clear. This is from my point of view and various experiments and readings I have done. Loudness is always relative, but it is NOT Peak level. It is dependent on signal level, yes, but more importantly, it is dependent on the frequency. 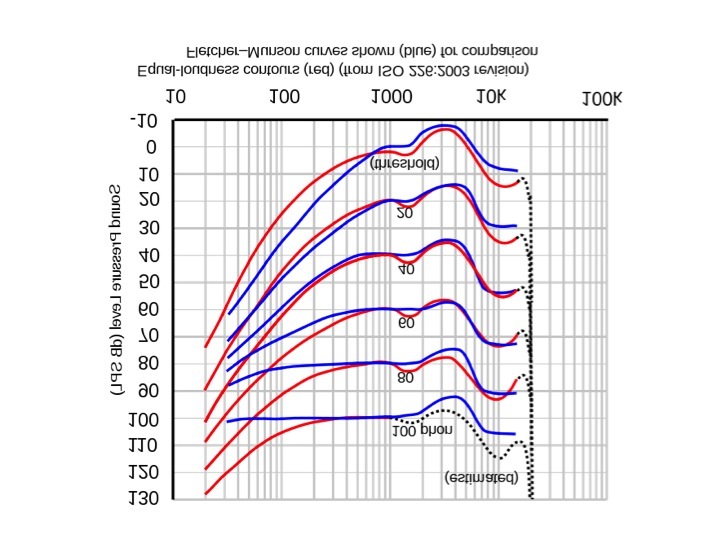 Sound students and engineers will have very well heard of the Equal Loudness Contour. 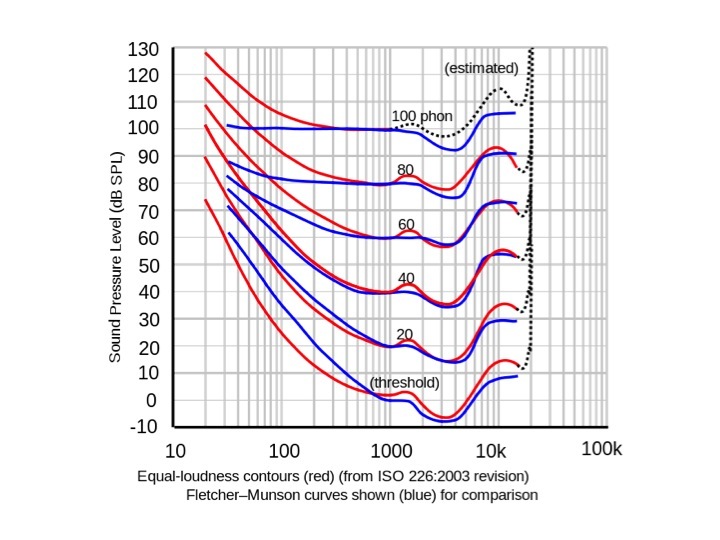 This graph shows a variation in red (the recent ISO 226:2003) from the original Fletcher-Munson curve. This reveals something very interesting. If you look at the red line, at 40 phon, you would see that at 1kHz, the SPL required is 40. But to get the same loudness at 100 Hz, it is 60 dBSPL. That means that more SPL is needed for a sound in the lower register to be registered as equally loud for us compared to the higher register. There is another very interesting thing to note. Against the original blue line of Fletcher-Munson which was a study in 1933, we have become less sensitive overall. You need more low SPL for the same frequency compared to what was needed in 1933! Now, if you flip the graph, this is what you get. That may not look like a good graph, but think about this. This is the EQ curve we have in our brains! I don’t say this is the frequency response of the ear because like I said, it is not about peaks, it is loudness and that is interpreted by the brain against a variety of factors. Look at the mid section to see the bump. In fact, this bump is also called the Annoyance region by Dolby. It is true because slight increase in that spectrum causes us to react instantly. But the important part is this. It is the dip (or bump depending on which graph you are looking!) that happens between 2k to 8kHz. That dip means our ears are more sensitive to that frequency range than the rest at the same loudness. This is the dialogue or speech range. And something peculiar about that is that this in films is usually the dialogue frequency. How is this interpreted for a mix? This means that anything clashing or having issues with the narrative will more or less fall in that frequency range. So, a well crafted dip or a multiband compression in that range on the music or effects will help clear out the space for dialogues without having to do too much rides. Also, while having the compressor or eq, try to shelf it either musically by sliding it down and bringing it back on tempo or by the performance using some other effect or dialog to mask the return or cut of eq. This is also the secret to get a good sounding trailer mix! A film is always dynamic in nature. And what makes it dynamic is the relative levels from scene to scene. If I need impact in a scene ahead, I tend to build it by varying the levels and underplaying everything before that scene, so that I don’t need to push levels. But, if I keep everything to the helm and max things, I wont have any more for impact. It is very important to understand that everything an audience judges is against the dialogue. The Dialogue is king. (Unless it is an experimental film that you are working on.) The level of dialogues sets the tone for the film. You may have for instance a film that starts with a scream. That isn’t the conversation level! That will be there for a purpose. It can help create dynamics and more effective. A very good example is if you have gunshots. Getting the dialogue and the mix slowly down just before the gunshot will help push the attack of the gun shot harder for that impact rather than level. Realise that its called Attack of the gun, and that is a transient sound in the frequency range we are sensitive in! The first run for me is very important to get into the mood of the reel, or what is happening. In this, although, I will have the brief of the film by the director and / or the sound designer, I will want to interpret the reel on my own. The reason is that the idea of the director will be within as the soul to the story. But the interpretation will be something that comes from my instinctive reaction to the story based on what has been designed in the tracks. During the first run, I have only one thing in mind. What role does the music play in the story. This is very important for me to decide what levels the piece should be at, is it giving the right emotional emphasis, or sometimes, if it is needed at all. The reason is that many times, music has the amazing capability to transport us to the emotional height or excitement that is needed. Whether it is as a background score or whether it is as something to push time-lapse. All these are determined by the score. This also serves as a starting point for me to understand how I need to ride the score, or if I need to sometimes keep the score as an undertone and play with EQ on it instead. This run also gives me the seating point that I had mentioned in my previous post. I also get a quick overall level of the ambience and Effects against everything. Now, there can be times when it may just seem a mess with a lot of things happening at the same time, like a car chase or fight sequence. I let it be. I used to panic initially thinking what the hell was happening and I would stop the playback or go back. I realised not to do that. The reason is that it will break the flow of judgement of the “big picture” sense. Also, I realised that I was playing to evaluate the general levels and nothing with fixing everything yet. There would be a later stage for that. This stage also serves as a broad stroke for me. I lay down the canvas for the mix in this. Remember, as you progress, you are optimising the whole spectrum in terms of frequency, dynamics and space. But you are also optimising the medium of telling the story. By this I mean that you are constantly going to refine and change things around to reach what you have in your head. This is a very important part for me. I have certain ways to hold the fader. This may sound silly. But I have my reasons for this. I always balance subtle scenes holding the edge of the fader. The reason for this is that it gives me finer control in levels and also reacts naturally to the hand pressure we have in scenes. If it is an aggressive scene, my finger muscles get tight as it happens when you are in pressure (you clench the fist). Similarly if it is a happy scene, the fingers are relaxed giving a smooth movement across the lines. These are factors that actually mimic the way audience will sit in a theater watching a film. Edge of the seat or relaxed. It has different movements. This is why when I set up my mix, I will have the music fader close to the dialogue master. This means that slight and drastic changes can be made with one referencing the other on a physical position. It also helps to have the faders laid out in such a way that you can change them around based on the spacing of the hands and the scene demand. Try it out. On a table, try keeping the index fingers of your hands close and then try making small movements and then large movements. Then try the same keeping the fingers about 1 feet apart. You will notice that the large movements with the fingers close will put pressure on your shoulders. 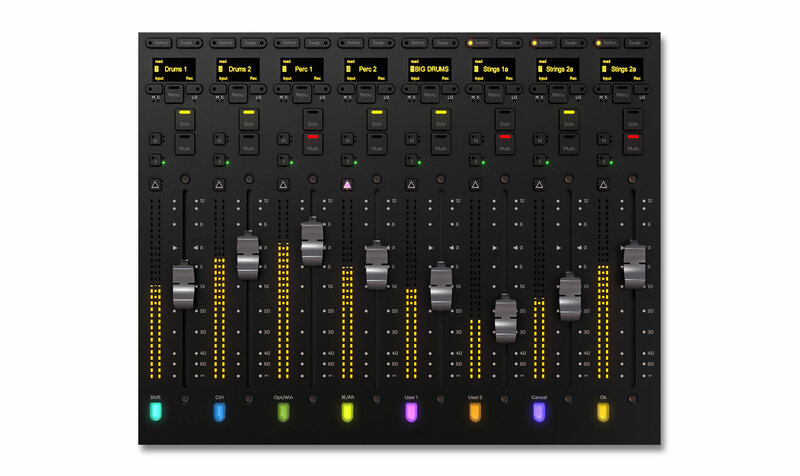 (This is also dependent on the height at which you sit and the height of the faders, but this is just an idea). This translates a lot on how the music will ride against the dialogue and effects. So, I do have the need to change based on what I am balancing in the mix. In effect its almost like having a conversation with the sound trying to put forth ideas towards each other. During the progression, you will notice the reason certain changes happen and certain movements that happen without thinking. This is the thing that experience brings you and something you cannot achieve mixing with a mouse. Because with a mouse, you will need to think one at a time. That loses judgement of what you want to attain. So, the tactile feel is very important to attain a good mix. In the next part I will talk about further steps that happens in a mix and continue my thoughts on this.